This post is all about bigger-better-faster. Progress! 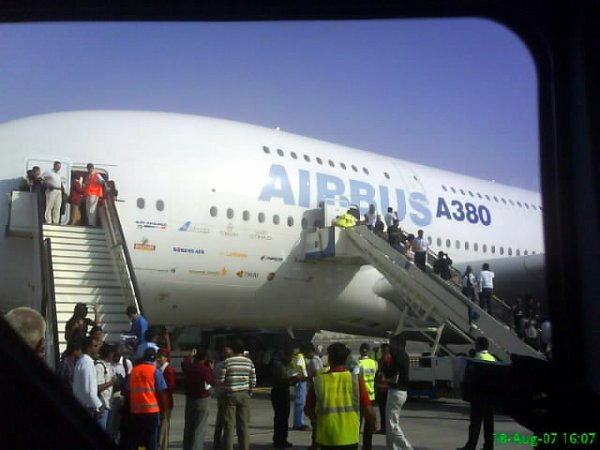 See the new Airbus A380!!!!!! ...Wait, you say you don't see it? Here's a closer look! Emirates crew did four test flights in Dubai on 8/17 and 8/18. Yesterday I taxied right past it, but was too slow to take a close-up photograph. This is for dubaiwalla. Last week I noticed Burj Dubai had reached 143 floors. And this is for my fellow rail geeks. I can't wait for 2009! This was taken out the opposite window to the one above. Is there a cute word for pictures of window reflections? revjim? joedecker? If there is, I think I need an LJ tag for it. The second-tallest building in the second picture from the end- did that exist a year ago? A year ago it was almost finished, and was making the rest of the SZ towers look puny! And when I lived in Twenty First (two buildings to the right, right in front of Burj Dubai), it wasn't even a hole in the ground - just a picture on a signboard. It has something like 83 stories. Emporis claims construction was only completed this year. But it also says it is taller than any other completed building in the city barring the Emirates Office Tower. Aiee! Yup, sounds about right! Twenty First was the second tallest after Emirates Towers, by one floor I believe. The one with the wacky square needle is just about precisely the same height, and is directly across the street. My parents were in Dubai in May 2006, and it was my dad who commented the tower in question made the others "look puny." Did I hear you say "free nachos to anyone dressed in hot pink?" Wow, thanks! I'm glad you liked them? Outcome of aforementioned situation is exactly what I predicted; I didn't get the promotion. I was sad about it for a while, but now I'm looking on the bright side. 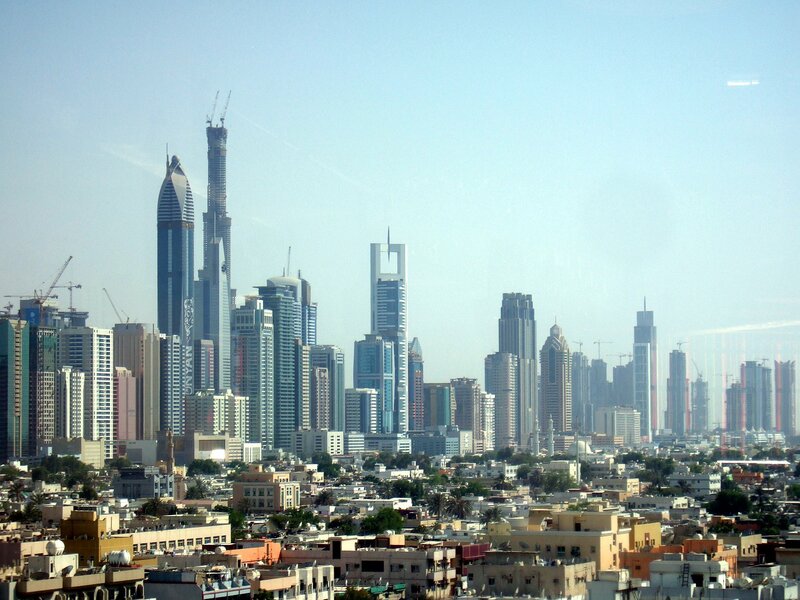 Great pics, I love how the skyline of Dubai is growing.